Is a home sauna for you? Much like a pool or hot tub, a sauna requires a fair amount of upkeep, requiring an ongoing periodical investment of time and money to keep it running safely. Also like a pool or hot tub, whether or not a sauna is “worth it” largely depends on how much you actually end up using it throughout its life cycle. In general terms, the initial investment runs between $2,000 (for a simple design and DIY installation) to $8,000 (a professional installation, custom design, and any professional upgrades to ventilation and electrical systems will contribute to this cost). Not a cheap investment, but during these cold Canadian winters, it’s hard to argue with the idea of a toasty, relaxing sauna! Take a tour of a home addition featuring a sauna as part of the garage, and learn more about home saunas to decide if it’s the right choice for you. 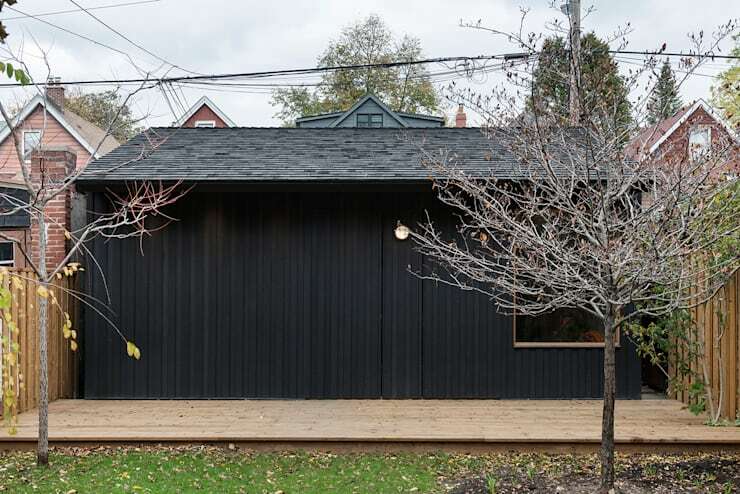 Often, you find home saunas tucked away in the basement—this new home addition has taken advantage of the detached garage, incorporating a sauna as well as parking space. With the multitude of modern sauna designs available, it’s possible to install a sauna in many different areas of the property, from the upstairs bedroom to the attic, patio, and, like in this example, the garage. 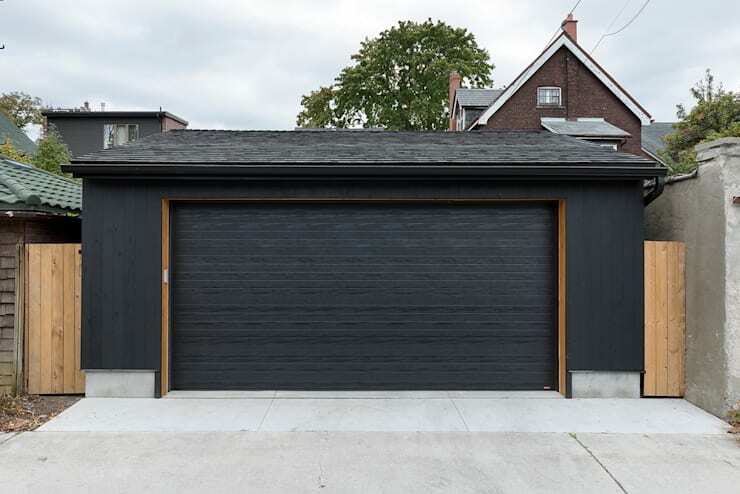 The design for this garage and sauna was inspired by Scandinavian culture and their long history of wood-burning saunas housed in simple, rustic outbuildings. That said, this garage is much less a practical matter of adding secure parking space—according to the design team from Studio Z, in this project, the client wanted to manifest their wildest studio and garden dreams! 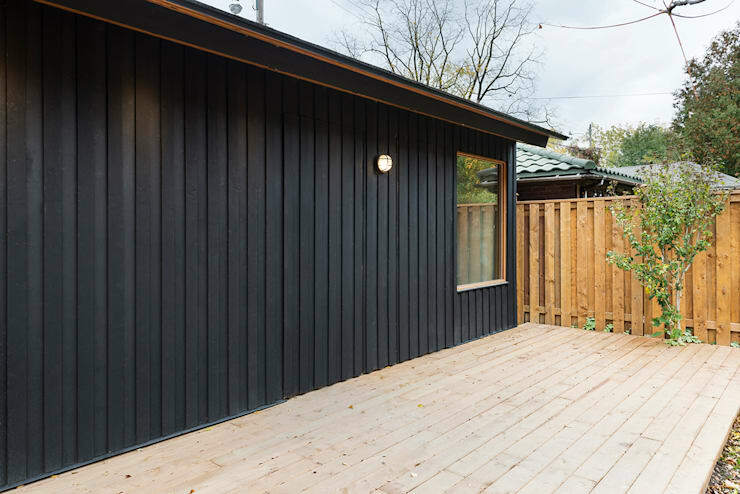 The siding is charred cedar, produced in a process that involves burning the cedar and sealing them with a tinted oil to bring out the black finish (this was done on site by the building contractor). In a tribute to Scandinavian building techniques, the roof is topped off with a layer of pine tarred shingles, a natural method of preservation often used on boats and wooden buildings. Why a sauna? The popularity of saunas can be explained by the fact that regularly visiting a sauna has a positive effect on your health. It is said to strengthen the immune system: as your body temperature rises in the sauna, the body detects a fever and stimulates the production of disease-fighting cells. Visiting a sauna is also good for muscle relaxation, and cycles of hot and cold immersion can help to lower blood pressure and stimulate circulation. The classic model found in public buildings and spas is the Finnish sauna. The temperature ranges from 70 to 100 degrees and the humidity is kept between 10% and 30%. An occasional infusion refreshes the air with a pleasant aroma. A family sauna is a good choice for a home with a wide age range among its members. Temperatures in a family sauna usually range from 50 to 75 degrees. Due to these lower temperatures, this “tropical bath” is ideal for beginners, the elderly, children, and people with weaker circulation. A low-temperature sauna is especially gentle on the circulation. As the name suggests, low temperature saunas range from 45 to 60 degrees. Steam saunas opt for cooler temperatures with comparatively high humidity. Typically, they have a water bowl above the oven filled with water and herbs. 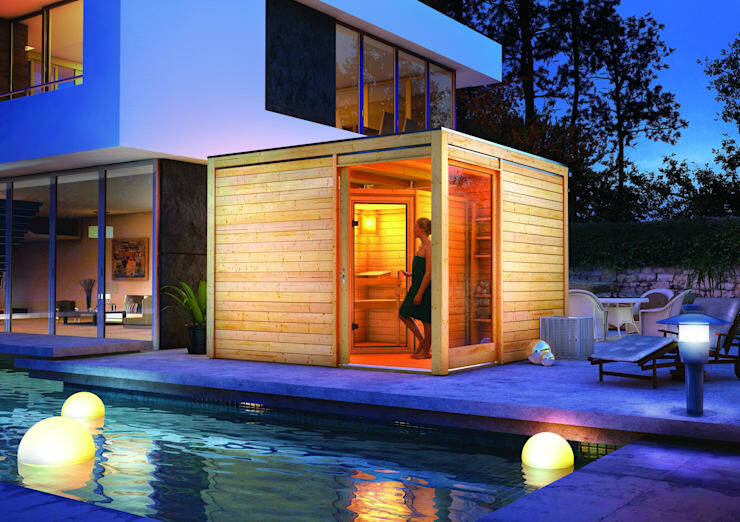 And finally, there’s a modern take on the traditional Finnish sauna: the infrared sauna. The infrared heaters used in this type of sauna heat up almost instantly and provide a pleasant, even heat. In general terms, the initial investment runs between $2,000 (for a simple design and DIY installation) to $8,000 (a professional installation, custom design, and any professional upgrades to ventilation and electrical systems will contribute to this cost). It’s important to note that a sauna has a significant ongoing cost: that of the energy that it requires to heat up. Per session, a sauna might use 10 to 12 kwh, and it will also require time and energy to reach the desired temperature level to begin with. Like a pool, a sauna requires regular care. In addition to adequate ventilation, cleaning is essential after every sauna: benches and backrests should be scrubbed or wiped thoroughly. You’ll want to leave the sauna door open to allow excess humidity to escape, also wiping up any moisture from the floor. In addition, if the wood gets treated once a year with a sandpapering session, the surface remains smooth and less prone to germs. In general, it is recommended to sit on a towel during a sauna so that sweat, oils, and salt from the body do not leave deposits on the sauna material. Aggressive chemical cleaners may shorten the lifespan of the sauna, especially when made of natural materials like stone and wood. In order to free the kiln of limescale, natural remedies such as citric acid or vinegar are good, non-abrasive solutions. 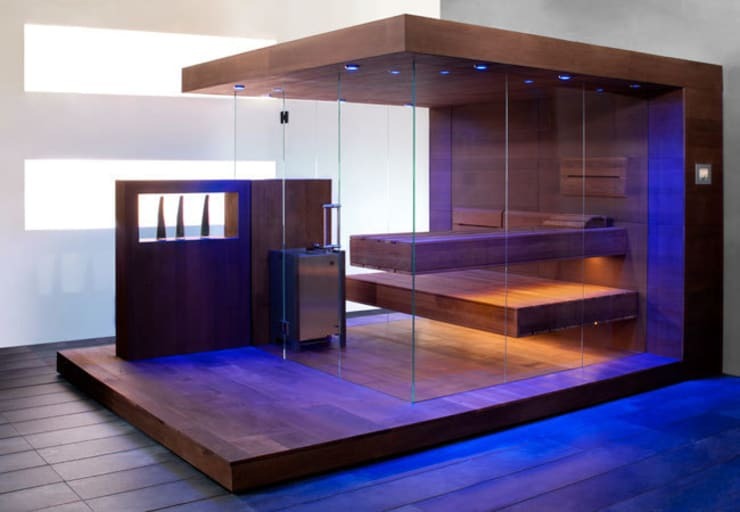 Share your comments on these home sauna designs below!